My subject is researching, performing and recording an ever widening repertoire of music mainly by British composers of the earlier twentieth century. Over the years I have witnessed instances when long-established publishers have moved out of their old London premises and disposed of all manner of materials. As time passed there were also notable examples of libraries reducing holdings – Liverpool Public Library being perhaps the most high profile and regrettable, but also including a variety of orchestral libraries and even the BBC. These disposals were done with a minimum of publicity, so that one only became aware of it after disaster had struck. The national infrastructure changed without any conscious planning. For instance, Samuel Coleridge-Taylor’s cantata Meg Blaine was thrown out by a music publisher – manuscript, orchestral parts, vocal scores. It only survives because a passing music librarian saw it sitting on the pavement with the wastepaper waiting for the bin men and took it home. These stories led to a seminar in 1990 called Lost and Only Sometimes Found, the proceedings of which were published by the British Music Society. In 1995 as part of the BBC’s ‘Fairest Isle’ initiative – a whole year devoted to exploring British music on Radio 3 – I was commissioned to research and present a programme devoted to extracts from operas about Dierdre of the Sorrows and I wanted to include something from Karl Rankl’s opera. I got out the vocal score I had rescued years before and found two passages I thought would be suitable. But how to find the full scores and performing materials? I rang Karl Rankl’s widow who told me she had given all her husband’s music to the University of Graz in Austria. But she asked me what I wanted. She then drove by car to Graz, via the Dover ferry, and came back with it all in the boot! You will not be surprised to hear that yesterday’s popular music is particularly prone to unthinking destruction. Pam Thompson, Librarian of the Royal College of Music, told me about the demise of the Music Library of the London Palladium, and who was given just a matter of hours to rescue what she could in the back of a black London taxi and a transit van. Visiting music publishers in London between 1958 and 1965 seems a halcyon period in retrospect. In those days one went up to London to visit the music publishers, most of whom were within a few hundred yards of each other on two or three blocks off Oxford Street. In the morning one could see the collectors for the music shops going round the trade counters with their orders, and it could all be done in an hour or two. The first crash came on 6 May 1964 when Chappell’s showroom in New Bond Street was burned down. Chappell’s was engulfed a week after I returned what was then thought to be a unique manuscript full score of Bax’s (then unplayed) Spring Fire, which was destroyed. Also lost was the Sullivan Cello Concerto and other works. Fortunately another score of Spring Fire turned up among the papers of the pianist Harriet Cohen. By the end of the 1960s most of those major publishers had moved from longstanding premises, and it would seem that many works which had been in stock and in print for years – Parry, Stanford and Cowen were destroyed. Many works which one had assumed were easily available just disappeared overnight. And so it went on, and the whole of the music publishing industry gradually moved and inadvertently destroyed part of the British musical heritage as they did. The move of Novellos from Wardour Street in 1964 was especially worrying, for it became known that all manner of musical material was being left out for the bin men as waste paper. A representative from the Royal College of Music saw what was happening and bought three taxi loads of intended waste paper for £40. For many years they filled three large cabinets on the stairs at the Royal College. Considering they were going to become waste paper they were a remarkable load, for as well as a variety of forgotten Victorian cantatas they also included manuscripts and marked proofs including some Dvorák and Gounod. Turning my attention to women composers and the particular threats to their music, it is interesting that Dan Godfrey promoted so many women composers in his time as the founder of the Bournemouth Municipal Orchestra. At Bournemouth, Godfrey had given 24 performances of orchestral scores by eight women composers between 1893 and 1913. And between 1914 and 1934 when he retired he played a further 97 performances of orchestral works by 25 women. In April 1924 he devoted a concert entirely to Juliette Folville and Ethel Smyth and in 1927 a concert consisting of women composers: Ethel Smyth, Susan Spain-Dunk, Vivien Lambelet, Dora Bright, R Fox-Reeve, Edith Swepstone and Dorothy Howell. I wonder how many of those pieces could even be found today. The two composers I would like to remind you about this afternoon are Lillian Elkington, whose tone-poem Out of the Mist was first performed in 1922 and Guirne Creith’s Violin Concerto first performed by Albert Coates and BBC forces in 1936. I had never heard of Lilian Elkington when in the late 1970s the manuscript full score and parts were found by David Brown in a pile of old music in a Worthing secondhand bookshop - clearly the result of a house clearance. Lilian Elkington proved to be a student of Bantock and the piece written in 1921. By publishing a query, contact was established with the composer’s daughter who did not know her mother had been a composer – an activity she had given up on marriage – and Robert Tucker programmed it with his Broadheath Singers concerts in 1988 and a tape of that concert was used to make a demo-disc to secure the BBC Symphony Orchestra’s recording issued by Dutton Epoch in 2006. 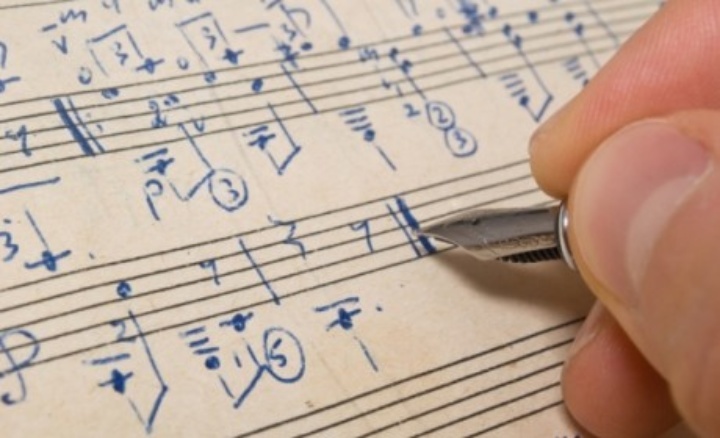 The establishment of a variety of composer trusts has facilitated the recording and re-establishment of a whole generation of British composers, from Parry and Stanford to Dyson and Finzi. The unfortunate part of the whole movement is that those composers without trust support or well-off estates have tended to be ignored, and so, for example Holbrooke has still not been adequately explored. Holbrooke’s contemporary Sir Granville Bantock is a wonderful example of a composer whose music was completely out of fashion. Luckily the late Ted Perry of Hyperion records was persuaded that Bantock should do well with the record-buying public and he financed a series of orchestral recordings by the Royal Philharmonic Orchestra conducted by Vernon Handley which were remarkably successful. I have been working on revivals for forty years during which time I have been involved in the performance or recording of maybe a thousand works. There is much still to be done and I appeal to ISM members everywhere to be constantly vigilant for lost scores and parts so that we can continue to save our music for future generations to come. Lewis’s many books and articles include the standard biography of Sir Arnold Bax, first published in 1983 and in an expanded third edition in 2007. A full time writer and repertoire advisor to record companies, he has produced over 250 CD booklets comprising notes on some 1,000 works, and contributed programme notes for the London Symphony Orchestra and the Nash Ensemble among many others.